211 are the kilometers of French Way that pass through the province of León, one of the most historically linked to the Camino de Santiago of the whole peninsula and for which the Jacobean route is a very important source of income. Precisely to prepare even better to the needs of the pilgrims and facing the boom that is expected in the next Jacobean Year 2021, provincial institutions already have a concrete plan of action for the coming years. This plan will involve more than 30 municipalities of León, the Provincial Council of León, associations of friends of the Camino de Santiago and even higher bodies such as the Junta de Castilla y León and the central government. Just last Friday the president of the Provincial Council of Leon, Juan Martinez Majo, has presented in Villadangos this concrete plan of measures, which take into account the current and future needs of the Jacobean route as it passes through the province. The plan of action, prepared by a technical team and consisting of nine stages, has already invested 225,000 initial euros of a total budget of 6 million to start the project. The plan contemplates the integral improvement of up to 15 km of the French Way and foresees actions in walks, ditches, improvements in the security, the signage and up to 30 rest areas, besides planting of trees. León wants to respond with a pilgrimage route of greater quality and attention to the pilgrims who visit the province every year. Last year there were 76,000 in total, generating an expense of 24 million euros. 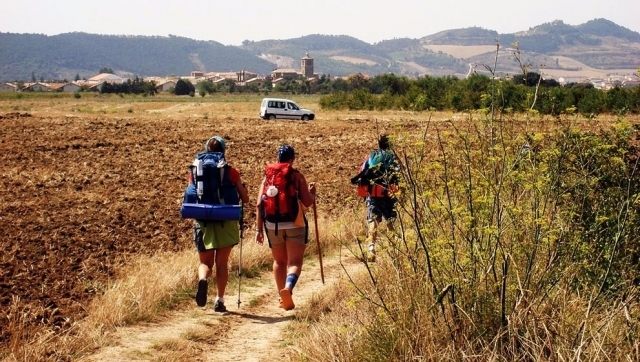 Many provinces and autonomous communities have already presented their concrete plans of action with the focus on the Jacobean Year 2021, which indicates a new ceiling in terms of the influx of travelers who make the pilgrimage to Santiago de Compostela.